This galvanised metal Suffolk latch is for wooden gates and doors of up to 75mm (3in) thick that need to be opened from either side. The classic design has been around for nearly 150 years and the look suits many rural situations. It has three components: the back plate, latch and keep. The back plate supports the handle and thumb catch to lift the lever. A slot is cut right through the wood to accept the lever and then the back plate is screwed down. 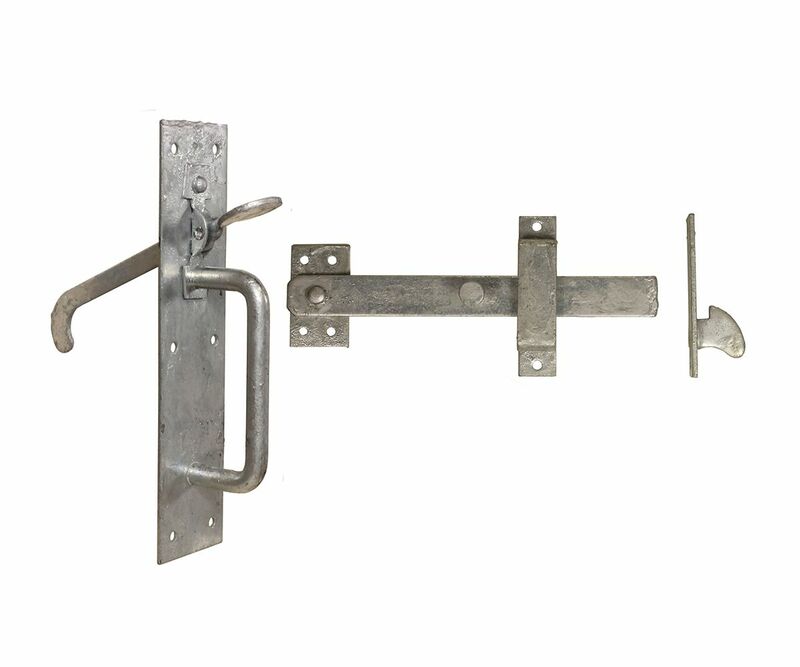 The latch assembly has a bar, hinged at one end, with a knob for lifting and a jump staple to keep the bar aligned. The latch is mounted on the other side of the door from the back plate at a height where the lever lifts the latch bar when the thumb latch is pressed. The keep goes on the gatepost or doorframe and the latch bar drops into it, securing the gate or door.